In the last three years, in addition to generating jobs, MUDRA has managed to boost financial inclusion in India. 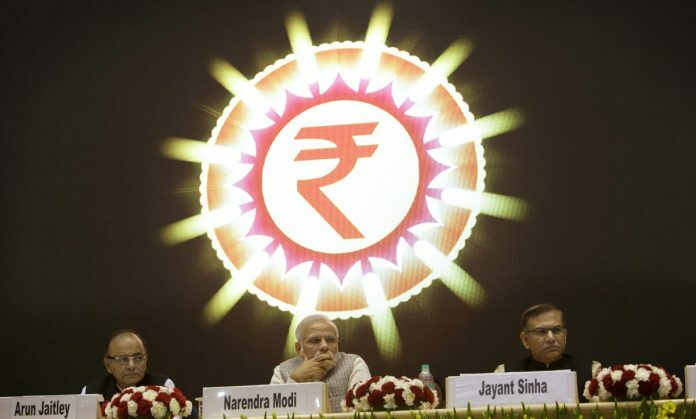 The Pradhan Mantri Micro Units Development and Refinance Agency Yojana (PMMY) or the MUDRA yojana is one of the most ambitious schemes of the Narendra Modi government that targets entrepreneurship. Launched on 8 April 2015, MUDRA focuses on enhancing the disbursement of collateral-free loans by lenders such as commercial, small finance and cooperative banks, Micro-Finance Institutions (MFIs) and Non-Banking Finance Companies (NBFCs) to Micro, Small and Medium Enterprise (MSME) borrowers. These loans are given primarily for non-agricultural activities or those allied to agriculture, such as dairy and poultry. Non-corporate small business segments or manufacturing units, vendors, shopkeepers, women, youth and small-time entrepreneurs are MUDRA’s biggest beneficiaries. In the last three years, in addition to generating jobs, MUDRA has managed to boost financial inclusion by taking last-mile credit delivery to micro-businesses and also brought a section of the informal sector into the formal and taxed economy. Under the scheme, loans up to Rs 50,000 that are disbursed without any processing fee are categorised as ‘Shishu’, those under Rs 5 lakh as ‘Kishore’ and those of Rs 5-10 lakh with a small processing fee as ‘Tarun’. These beneficiaries are given ready access to working capital through MUDRA cards—RuPay debit cards that are issued against the loan and can be operated across the country at ATMs and Points of Sale. Twenty-seven-year-old Sahil Gupta from Jammu’s Kanak Mandi has an MBA from Jammu University. After his graduation, he decided to work for a few companies. But soon realised that if he was working so hard and late into the night, “I would rather work for myself and reap the profits too”. He had always dreamt of starting his own business and, as a first-time entrepreneur, Gupta set up a distribution and wholesale firm. Hailing from a non-business background, he had limited funds at his disposal and consequently managed to tie up with just one company whose products he distributed. A friend who was a MUDRA beneficiary informed him of this scheme and in a hassle-free application process with UCO Bank, he procured a ‘Tarun’ loan of Rs 10 lakh in May 2018. Soon, he augmented his business successfully with six more companies added to his retailer list. Since then, his firm has gained significant recognition and market share, and seen an increased turnover and monthly sales. Apart from his team of four members, whom he has managed to employ, the workforce includes a member from each of the six companies who liaison with him on daily orders, deliveries and payments. The MUDRA loan and the RuPay card helped Sahil overcome the critical advance payment and cash liquidity issues that he struggled with earlier. “It is a boon for freshers like me who are venturing into the market with nothing to show in terms of property, guarantee and mortgage. Rate of interest too is low and manageable at 8.6 per cent. I know that it has benefited so many young people in my district who have started off small businesses of their own,” he says. In Karnataka’s Bellary, Lalith Kumar Mittal ran a very small mobile servicing centre. But his heart was in the hotel business and he aspired to start a restaurant of his own. He did start one in 2017, but the lack of funds encumbered the business all along. A few months ago, a friend who works at a bank informed him about the existence of MUDRA. Through a simple, non-complicated application process at Syndicate Bank, in barely 10-12 days, he procured a ‘Kishore’ loan of Rs 2 lakh. His ‘Chola Chats and Chinese’ restaurant has enhanced its business ever since with an expanded juice counter, better furniture and décor, with 15 employees working for him. “For first-generation entrepreneurs like me, this is a boon. I wish there is more awareness spread about it, so that many more can avail of the benefits,” he quips. Since MUDRA’s inception in 2015, 12.27 crore loans worth nearly Rs 6.37 lakh crore have been disbursed. In the financial year 2017-18 itself, disbursements stood at about Rs 2.46 lakh crore. Of these, nearly 40 per cent have been offered to women entrepreneurs and nearly 33 per cent to the marginalised SCs, STs, OBCs and minorities. What is encouraging is that the number of women borrowers was a staggering 70 per cent, while SC/ST/OBC borrowers constituted about 55 per cent. An estimated 4.81 crore micro-borrowers had benefited from the scheme. Since 2015, more than 8.5 lakh borrowers have begun using the RuPay debit card. The burgeoning MSME sector— with 51 million units employing 117 million people —accounts for almost 40 per cent of the country’s workforce, in addition to contributing to the non-agricultural GDP and exports. A targeted scheme such as MUDRA is exactly what the sector needs in order to grow and flourish. Two hundred MLIs (Member Lending Institutions), 93 banks, 72 MFIs, 32 NBFCs and 6 small finance banks have joined the MUDRA bandwagon since 2015. In terms of performance, Tamil Nadu, Karnataka, Maharashtra and Uttar Pradesh were the top four beneficiaries of the scheme in 2017-18, while in terms of districts, Bangalore Urban benefitted the most, followed by Pune and Hyderabad. The government’s annual report onMUDRA also suggests the Northeast saw an exponential growth of 179 per cent in sanction amounts during the same period! MUDRA has transformed the life of women like Daya Rani in Daulatpura Niwan village of Punjab’s Moga district. Being a single parent, she was extremely concerned about the education of her son. She trained to design dresses for women at the local Rural Self Employment Training Institute (RSETI). The Punjab and Sind Bank officials visited the RSETI in 2015 and Daya Rani managed to procure a ‘Shishu’ loan of Rs 50,000 within 20 days. With this she started her own small boutique that has given her, in her own words, ‘a new lease of life, a self of self-worth, pride and self-dependence’. Today, she has not only cleared her loan, but also earns nearly Rs 10,000 per month and has provided employment to four other women at her boutique. In her village, nearly 20-25 such women have availed of MUDRA and seen their lives change for the better. With all the enthusiasm surrounding the scheme, a key concern that the government needs to keep in mind are the mounting Non Performing Assets (NPAs) through these loans. It would not be financially prudent to further burden India’s banking sector that is already struggling to emerge from the NPA mess it found itself in the last decade. The government’s own figures state that while gross NPA in India, across all sectors, crossed 10 per cent in FY 2017-18, the NPA level under PMMY is about 5.38 per cent as on 31 March, 2018. Since it is still early days for the scheme, a tighter monitoring and recovery process could save it from derailment—and going down the slippery NPA slope. Only then can the real vision of MUDRA—of reaching out to a larger number of small and micro businesses and budding young and women entrepreneurs, who would contribute not only to the country’s economic growth but also act as an effective job multiplier—be realised. This is the third part of a series on the author’s conversations with beneficiaries of schemes launched by the Narendra Modi government.